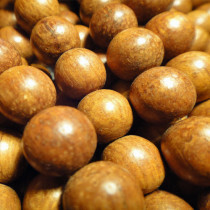 Bayong is a durable hardwood with similar properties to mahogany. 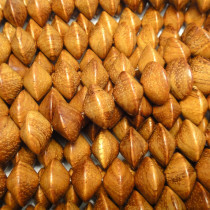 From the 'Afzelia rhomboidea' tree a species of legume in the Fabaceae family, found in Indonesia, Malaysia, and the Philippines. 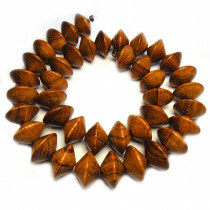 Bayong Wood Beads Round 6mm (~66pce Strand) - 40cm/16'" Strand. 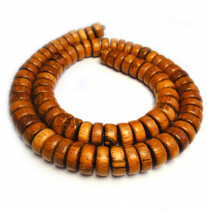 Bayong Wood Beads Round 8mm (~50pce Strand) - 40cm/16'" Strand. 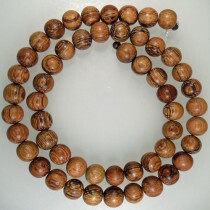 Bayong Wood Beads Round 10mm (~40pce Strand) - 40cm/16'" Strand. 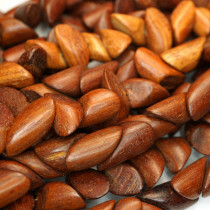 Bayong Pointed Nugget Wood Beads 10x20mm (~38pce Strand) - 40cm/16'" Strand. 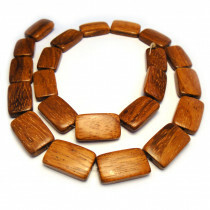 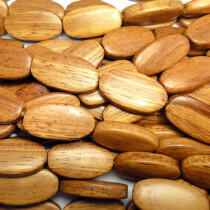 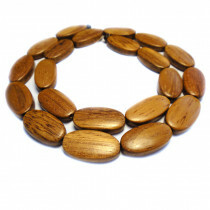 Bayong Flat Oval Wood Beads 10x20x5mm (~21pce Strand) - 40cm/16'" Strand. 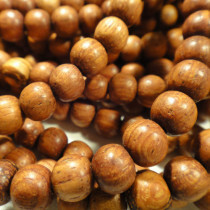 Bayong Pucalet 10x5mm Wood Beads (~85pce Strand) - 40cm/16'" Strand. 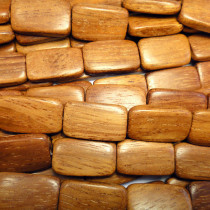 Bayong Flat Rectangle Wood Beads 11x19x4mm (~22pce Strand) - 40cm/16'" Strand. 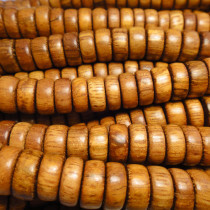 Bayong Large Saucer Wood Beads 15x10mm (~40pce Strand) - 40cm/16'" Strand.